Try something new with your painting projects using our versatile and easy-to-use Floppy Foam Brushes! Dip the brushes into paint and dab onto your paint paper for neat effects. 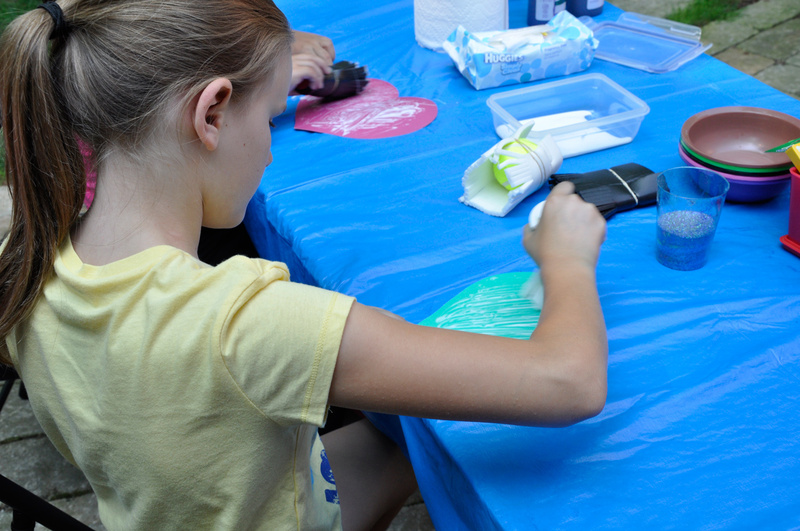 Floppy Foam Brushes aren’t only good tools for paint use… See what our Art Campers used them for below in the post! 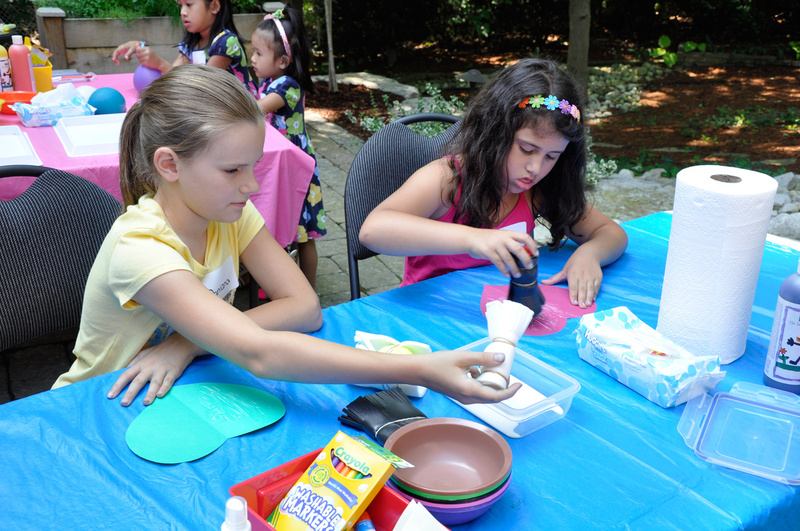 Our Art Campers filled small plastic containers with white school glue and dipped in their Floppy Foam Brushes. Each Art Camper had a paper heart that was cut from colorful construction paper. The Art Campers then used the glue-dipped Floppy Foam Brushes to sprinkle the glue at random throughout the paper heart. 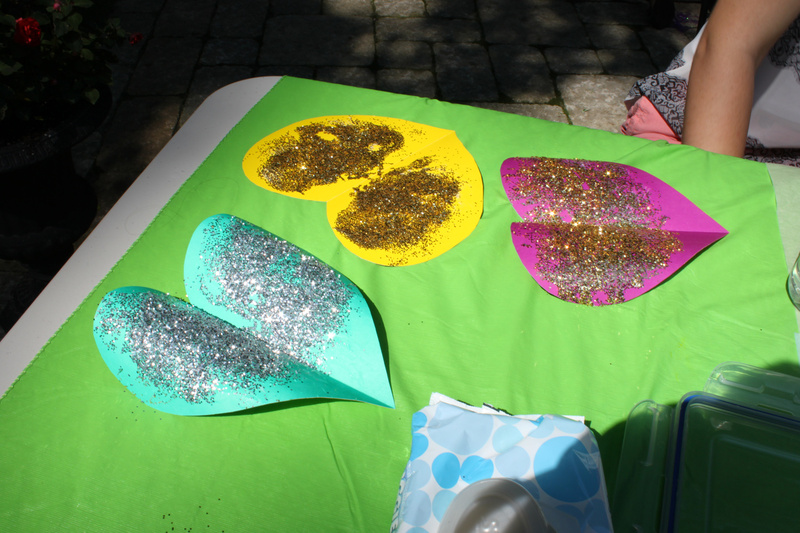 Next, they poured multicolored glitter onto the paper heart and let the glue dry. 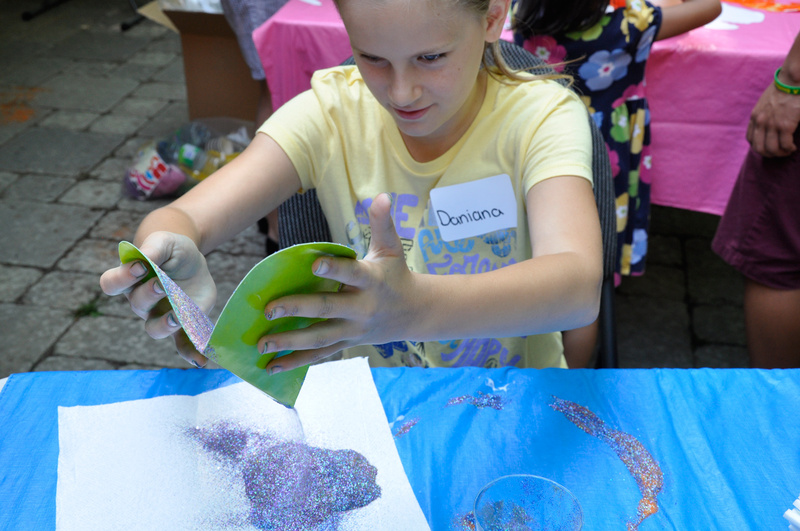 The next step was to remove the excess glitter, which this Art Camper did by bending the sides of the heart and tilting it over a sheet of paper towel. Using a paper towel helped to eliminate mess by keeping the glitter in one particular spot. We simply funneled the remaining glitter into our glitter containers by curving in the sides of the paper towel and tilting it over the opening to help the glitter slide inside. What beautiful hearts! We left them to sun-dry which really showed off the gleam of the glitter and helped the hearts to dry that much quicker. Thanks for viewing this post! If you would like to showcase your own painting techniques or have interest in any of the products showcased in this post, please email us through the contact form for more details! We’d love to hear from you! This entry was posted in Art, old and tagged art, art project, crafts, floppy foam brushes, glitter, glue, kids, kindergarten, preschool, school, Valentine's Day by roylcoblog. Bookmark the permalink.